It’s the final countdown to the UK Employee Engagement Awards! Tonight, organisations from across the UK will come together to celebrate employee engagement as a force for positive workplace change and productivity. The ‘EE Awards’ recognise all the elements of impactful employee engagement – from learning and development strategies to progressive diversity and inclusion initiatives – and attract entries from the UK’s market leaders and thriving scale-ups alike. Gateshead College is England’s no.2 top-performing college and shortlisted for the Well-being Award, alongside the likes of Visa, RBS, Oracle and Vita Coca. Recognising the challenges of working in Further Education (FE), the college’s three-year people strategy was designed to provide a positive and nurturing working experience for their people (and their students). With a strategic focus placed on empowering employees, the college has let their people shape employee engagement initiatives, which has seen engagement levels rise by 33% over three years. The college has also educated employees on how to manage their own well-being, while caring for the welfare of colleagues. 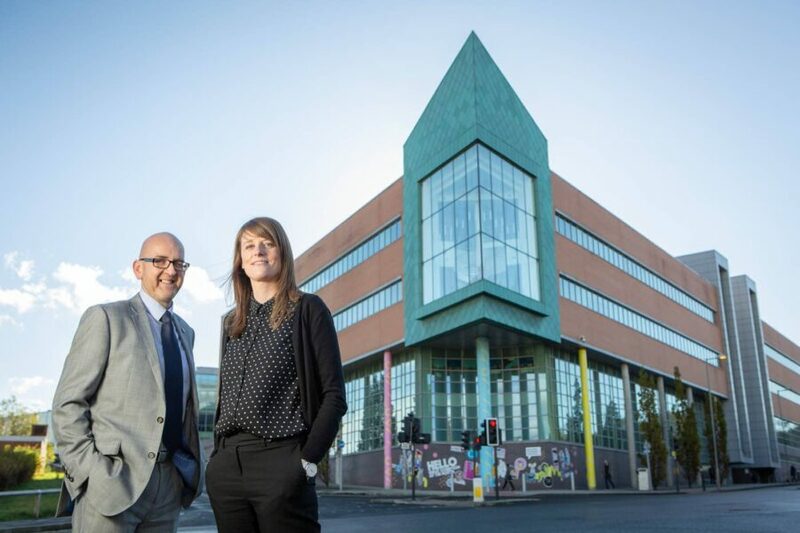 Gateshead College’s Eve Robertson, HR Advisor, and Paul Campbell, People and Organisational Development (OD) Manager, have been using Hive to gather employee insights and, in 2018, they sought to improve mental health awareness through strategic surveying and considered initiatives. The HR team found that Hive provided their people with a private channel to voice sensitive issues and facilitated open, honest conversations. And, through comparative survey reporting, an impressive rise in awareness of the college’s well-being initiatives was reflected over eight months. 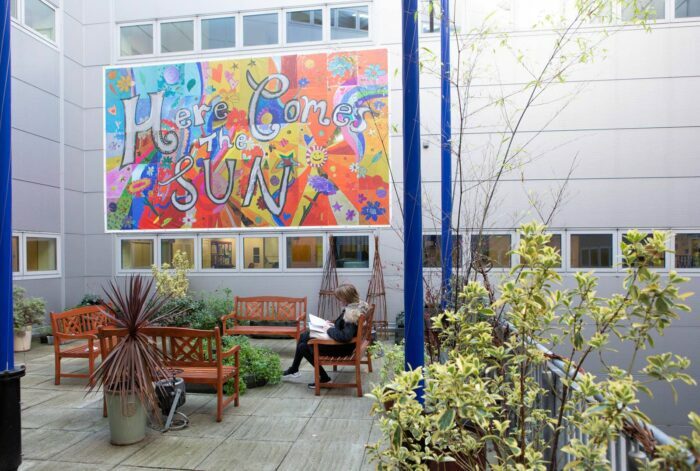 Gateshead College’s employee-led initiative, the ‘Quiet Garden’ – as featured in the college’s customer success story. In 2018, Hive’s belief in the power of engaged workforces saw us invest heavily in our technology and team. We enhanced our employee feedback platform to better help customers understand engagement, analyse people data and action positive change – with the strategic help of our newly-formed People Science team. 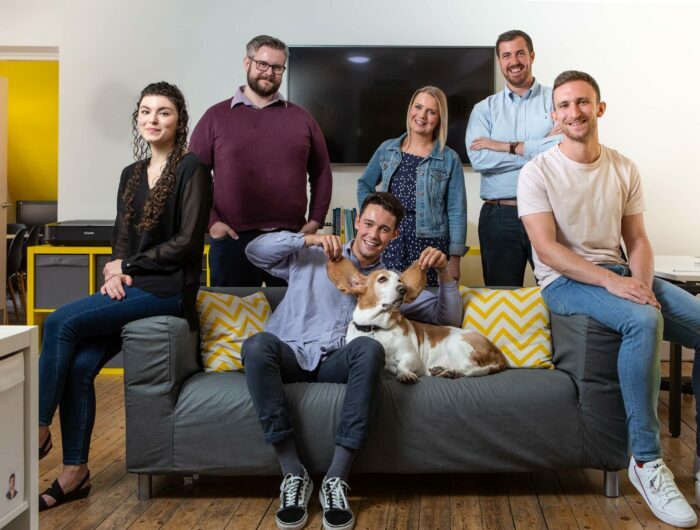 Our growing community of customers remained our compass throughout the year, as we welcomed new organisations on board with their own organisational motivations and challenges – including River Island, Travelodge, and Sheffield Hallam University. We also said hello to over twenty new Hive team members (and counting! ), who’ll be moving into our new city-centre Newcastle offices come Spring. Sustaining and shaping our own organisational culture will remain a core focus as we accelerate into 2019. Hive inspire our people to work with purpose; giving them the direction, autonomy, and freedom to achieve their ambitions and balance their own working lives. Hive newbies with resident basset hound, Barry. Hive is honoured to be involved in the EE Awards as a sponsor and a finalist. During such uncertain times for the UK economy, the EE Awards promote a necessary shift by UK business towards conscious employee engagement, which is the key to creating loyal workforces and sustaining business performance through any (political) storm. Team Hive’s Jen Southern (People Scientist), Emma Booth (Customer Success Executive), and Charlotte Thornton (Content Strategist/me!) are attending the EE Awards gala on Thursday 24 January 2019 – joined by Gateshead College’s Eve Robertson, Paul Campbell and members of the senior leadership team. Together, Hive and Gateshead College look forward to sharing a fantastic evening with the UK’s most vocal employee engagement champions! Read Gateshead College’s customer success story and discover the power of employee feedback gathering by booking a tailored Hive intro session with a member of our team.